Ingredients for a memorable night: beautiful spring like weather, soft breeze, perfect temperature, blue evening light, the sound of timbales rising, the melody of a son Cubano calling you to the dance floor. Oh… and the authority asking the band to stop. You can’t deny it; there is something on the rhythmic beat of Latin music that resonates inside you. When Making Movies Social Club began their show, one could feel your own heart beat synching with the percussion, starting with your feet… “Un pasito para aquí, un pasito para allá…” spreading through your whole body, and you can’t help but… dance. Making Movies Social Club is the side project of the Kansas based band Making Movies. 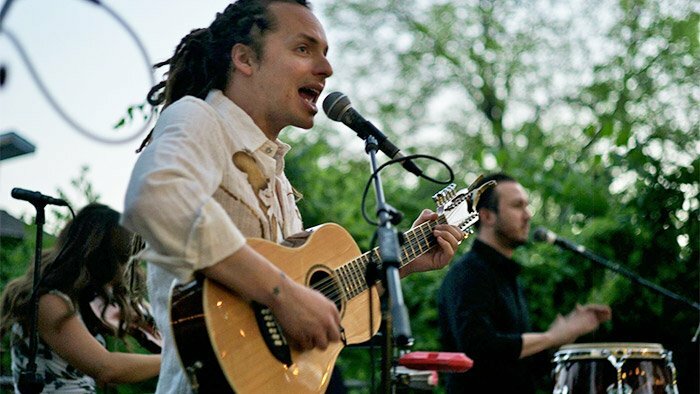 Enrique Chi, the lead singer, defines their music as a mix Afro Cuban, Latin rock, son and psychedelia. Enrique and his brother, Diego (bass), are from Panama raised in the US Midwest, Juan Carlos Chaurrand (percussions) from Mexico, Brendan Culp (drums) from Kansas; their music reflects that blending, it’s bilingual, bicultural unapologetically. This special presentation focuses on more traditional, folk Latin songs, homage to the Buena Vista Social Club era. What started with a handful of persons moving shyly by their seats, soon turned out to a packed patio of twirling, swirling, singing and laughing to the son of classics like Aguanile, La Murga del Panama, and Chan Chan and the band’s own Cuna de Vida and Luna. Enrique has a strong commanding voice that mixed with Juan Carlos’ taunting percussion and Colleen’s magical violin simply make the public explode. By the second set, with three flags as background, one thing was clear; music knows no barrier, nor language, nor shyness stop anyone for crowding the floor, cheering and humming. That was until the police appeared, reminding us that there is a set time for fun outdoors, and sensible neighbors surround us. The party ended up a little shorter (understandable nevertheless), leaving everyone wanting for more… oh well, we’ll meet again on the dance floor. 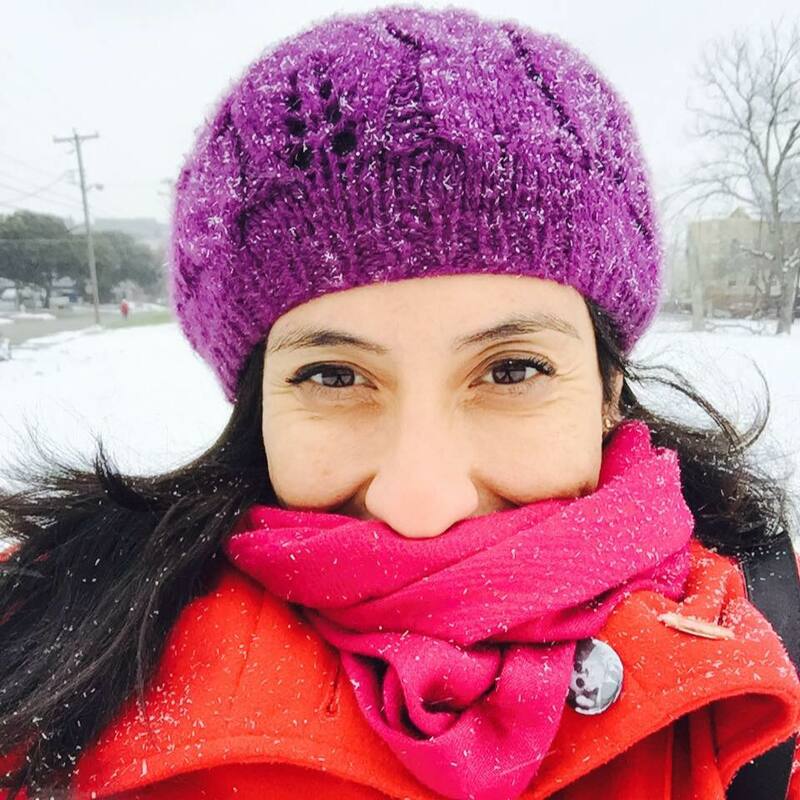 Vicky Sanz an Argentine calling Dallas home. A very subjective observer, a passionate reader, unashamedly obsessed with film, addicted to travel, a storyteller, a writer. Would you like to be featured like Vicky here?